After the surprise success of their Broadway musical The Book of Mormon, South Park creators Trey Parker and Matt Stone are looking to conquer the video game medium next. 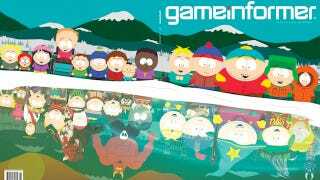 The December issue of Game Informer reveals that development's underway for South Park: The Game, an all-new AAA RPG console title set to hit PS3 and Xbox 360 next year. South Park: The Game is being made by Obsidian Entertainment, the studio best known for Star Wars: Knights of the Old Republic II, Alpha Protocol and Fallout: New Vegas. The goal of the game is to protect the titular town from various threats. Hopefully, we'll get to face down Satan in an epic boss battle. While there've been South Park titles before, this new one is being characterized as not "a cash-in." More details can be found in Game Informer's December issue and we'll update as we learn more about the upcoming adventures of Cartman and his buddies.